Everyone's favorite practically perfect nanny takes the stage in this Supercalifragilisticexpialidocious musical adventure! One of the most popular Disney movies of all time is capturing hearts in a whole new way: as a practically perfect musical! Based on the books by P.L. 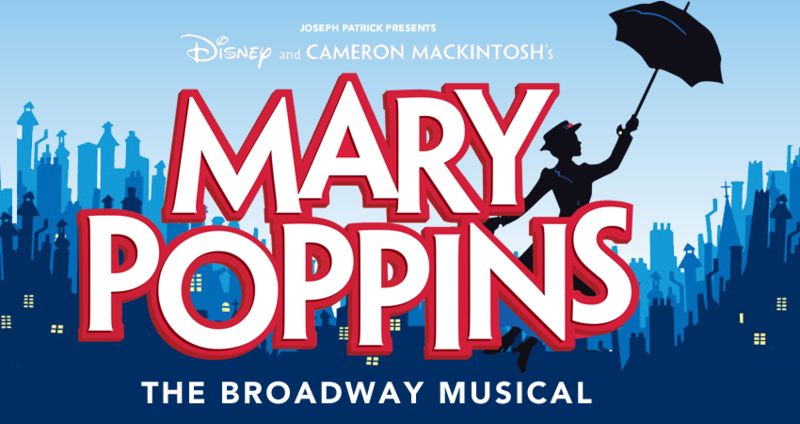 Travers and the classic Walt Disney film, Disney and Cameron Mackintosh's Mary Poppins delighted Broadway audiences for over 2,500 performances and received nominations for nine Olivier and seven TONY Awards, including Best Musical! Important Info: Any person entering the performance space, regardless of age, must hold a valid ticket and have an assigned seat. Patrons must occupy their assigned seats and may not move to other locations in the theatre without permission. Young children may be seated in a parent's lap only if they have a ticket and an assigned seat directly beside that occupied by the parent. Due to limited space, strollers are not permitted anywhere in the theatre. © 2019 Ticketwise. All sales are final. Tickets are non-refundable. Want to sell tickets online? Try Ticketwise for your online ticket sales.